The typical size for a smaller bedroom is 3m x 3m area. This area would require a 2kw air conditioner to provide the required performance. A Daikin 2kw air conditioner has a power input rating of 0.45kw (cooling). Based on the current power cost of 25 cents per Kwhr the 2kw air conditioner costs 12 cents per hour at full load. Full load is only required from your air conditioner until the temperature setting is achieved (e.g. 24 degrees). After the set temperature is reached, the unit will then utilise it’s inverter system to maintain the set temperature, which minimises energy use. If the outside temperature drops, for example at night, the unit will often use around half the rated power to maintain it’s temperature (e.g. around 50 cents per night). If we use an example of a bedroom about twice the size, this larger bedroom will require twice the power usage (e.g. $1 per night). A really useful tip is to take the heat out of the room before you go to bed using the air conditioner, then switch to using a ceiling fan while you sleep, which only uses around $0.01 to $0.02 per hour. The lowest cost combination is to combine the use of your air conditioner with your ceiling fan! The conclusion is that cooling bedroom is very cost efficient. Plus a good night’s sleep is so worth it! Living area do vary in size but on average we could assume a 8m x 5m area (40 sqm), which would require a 6kw unit. The Daikin 6 kw air conditioner has a power input rating of 1.69 kw (cooling). If we base our assumptions on a energy cost of 25c per kw/hr, this means that a 6 kw air con unit would cost around $1.50 / hr at it’s full load. Once again, the air con unit only runs at full load until the target temperature is achieved, before switching to the inverter for temperature maintenance. During this maintenance phase, the air con unit only needs to run a half it’s power rating (depending on the outside temperature and insulation cooling loss rates), so is likely to only be costing around $0.75 per hour. If you looked at a larger living space, for example 60 sqm, you could assume the unit would use 1.5 times the power and cost around $2.25 / hr at full load and $1.12 / hr in maintenance mode. Once again, combining the use of your air conditioner combined with a ceiling fan will cut these costs dramatically. If you assume you used your living area for around 5 hours a day, then the average living room (40 sqm) would cost around $4.50 per day to cool and much less if you combined your AC with a ceiling fan. A purchased cup of coffee $4.50 = One week (7 days at 8 hours per night) of bedroom air conditioning. A purchased breakfast (for 2) $25 = One week (7 days at 5 hours per day) of living area air conditioning. A tank of petrol $80 = One month of living area air conditioning. These costs may be even less with the Air conditioner/ Ceiling Fan Combo. How to reduce cost for air conditioning further? 1. Keep the heat out of the house in summer and in the house in winter. 2. In summer, if the house has been locked up all day, get the heat out of the house prior to using the air conditioner. This is done by opening all the windows and doors and turning on the air conditioner mode to fan only. Also turn on the ceiling fans if they are installed. Once the hot air is removed turn on the air conditioner. 3. 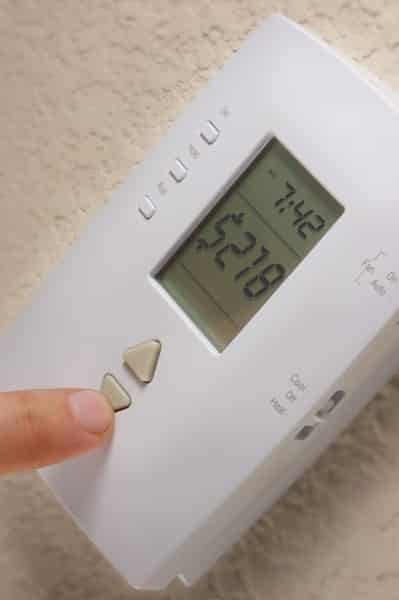 If the forecast is for a very hot day and the house is to be occupied during the day turn on the air conditioning early and set the temperature one degree higher than normal (say 25 degrees). The air conditioner will easily reach the set temperature and maintain it during the day. 4. Have your air conditioner connected to Tariff 33 (approx.30% less per Kwhr). This can be done in rooms that are not being used at times of peak electricity demand (approx. 5.30pm to 8.30pm) e.g. bedrooms. Get in touch with Crown Power today for all your air conditioning needs.